With so many hit records made at this iconic studio, chances are you've already heard this incredible room. Probably a lot more than once. Pop songs. They're polished. They're colorful. Love them or hate them, you CAN'T GET 'EM OUT OF YOUR HEAD! 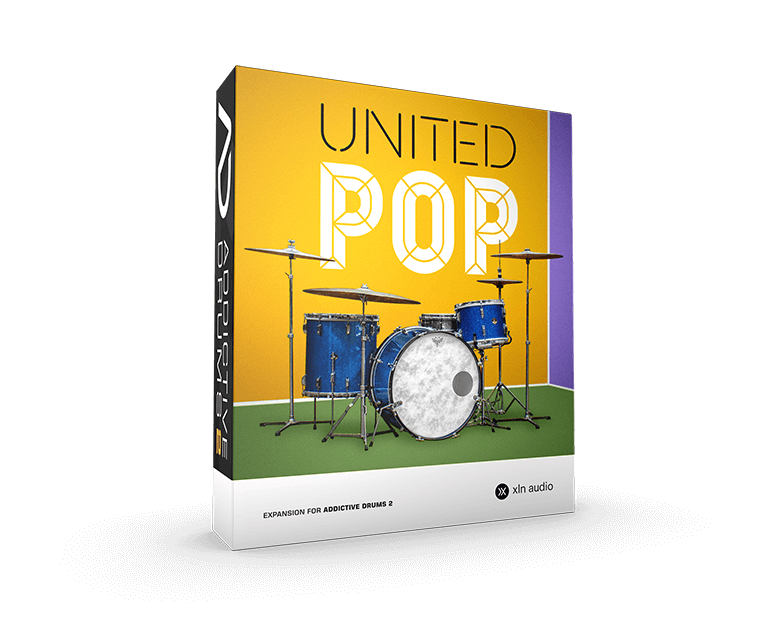 To record the ultimate pop kit, we went straight to the top: United Recording. This studio, formerly known as Ocean Way, has been the first choice for an insane number of chart toppers including: Beck, The Beach Boys, John Mayer, Madonna, No Doubt, Weezer, U2, and the king of pop himself, Michael Jackson. 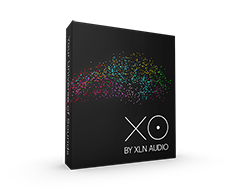 Now you can have that iconic Studio A sound in your music! The studio at 6050 Sunset Blvd. in Hollywood has gone under several names since its founding in 1957. Built to the exacting standards of Bill Putnam (legendary engineer and founder of Universal Audio), this room has been the birthplace of some of the most iconic hit songs over nearly 50 years. While the gear has been lovingly maintained and updated, the actual recording rooms have remained untouched. Once you hear how great this ADpak sounds, you will understand why. 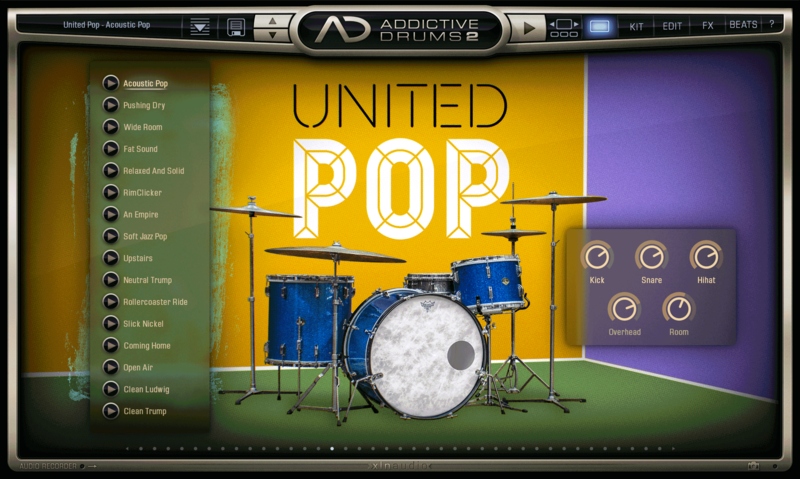 United Pop features a vintage Leedy & Ludwig kit with a Ludwig nickel over brass snare and an ancient but great sounding Japanese-made "Trump" branded snare. 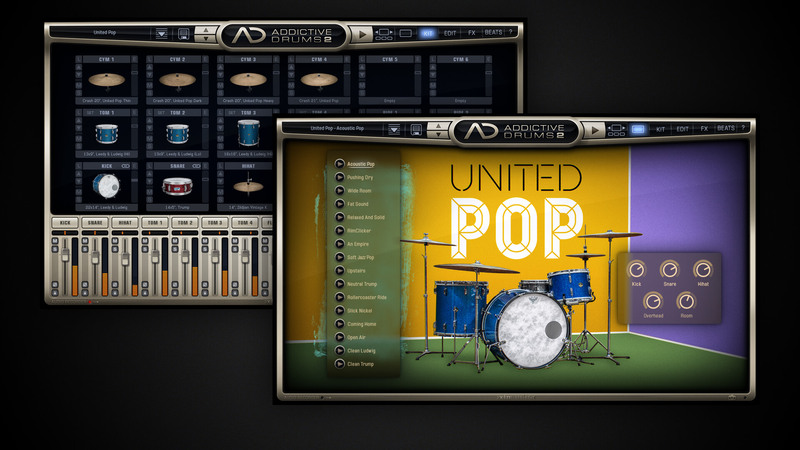 The ADpak includes over 30 professionally-designed presets that deliver instant, radio-ready sounds in many different flavors. If you need further inspiration, there are lots of MIDIpaks with professionally played rhythms to get you started on your next pop production.